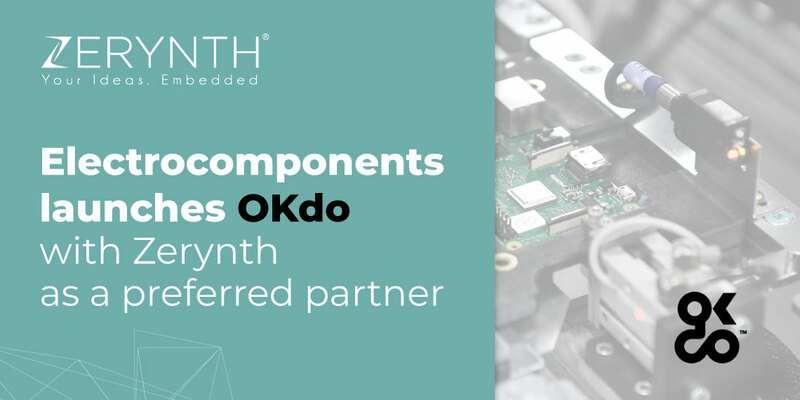 As OKdo will be focusing on IoT and single board computing it makes perfect sense that they would want Zerynth as their preferred toolchain for IoT solutions. After all, Python and 32-bit microcontrollers are at the heart of IoT. Not to mention how easy to use Zerynth Studio is. It also allows a mixed C/Python programming environment. We’re more than glad to see more IoT developers using our tools. The new OK do project portal will help developers and makers from around the world connect and share ideas. Concerning how fast the IoT market is growing a portal like this is truly needed. Entrepreneurs and industrial designers will benefit as well. The OKdo portal is offering them industry-leading support – one that includes manufacturing, prototyping, and a free cloud-based IoT development platform. We know Zerynth Studio will be one of the most frequently used tools on the new portal. Electrocomponents plc is the company behind RS Components and Allied Electronics & Automation. They are a British-based distributor of industrial and electronics products. Currently, they offer more than 500,000 industrial and electronics products, sourced from over 2,500 suppliers.